Who doesn’t want clearer, brighter, more youthful looking skin? And in our search, we’ve all spent money on products that promise the fountain of youth. But what if you didn’t have to look much farther than your refrigerator for the magical answer to gorgeous, healthy skin? Recently, ABC Action News asked me to do a segment about foods that give us soft, radiant, youthful looking skin. Here’s what I shared with them. Collagen is the protein that makes your skin plump and wrinkle free when we’re young. But as we age, collagen growth slows down and we start to see fine lines and hollowing out of our faces. The good news is that eating these foods can help promote collagen growth. 1. Red Bell Peppers. These tasty gems are full of Vitamin C, a great antioxidant for promoting collagen! 2. Pears. They’re loaded with vitamins C, E, and K and tons of wonderful minerals. Buy organic and eat the skin. It’s where all the good stuff is. 3. Cabbage. It has more vitamin C than oranges! 4. Tumeric. This Indian spice has a beautiful yellow color and amazing anti-cancer properties. Hydrating your skin is one of the easiest ways to make your skin look better. Dry skin leads to leathery skin, under eye circles, and wrinkles. Here are a few foods you can eat to make your face happy and hydrated. 1. Coconut. I love coconut in any form. Juice, milk, oil. They all have healthy fats that keep your skin hydrated. Coconut is also loaded with electrolytes and has more potassium than bananas. 2. Avocados. These fatty fruits are full of vitamins A, C, and E. They also contain glutamine, which helps protect your skin from environmental damage. 3. Spinach. This magic vegetable does an amazing job retaining moisture in your skin. It also contains lots of fiber, which helps clean out your insides. Secret beauty tip – clean insides leads to clear skin. Do you have lackluster and dull skin? Is your complexion ruddy or inflamed? Do you get pimples and breakouts? Eating these foods will help your skin look clear and radiant. 1. Figs. The number one cause of dull skin is toxins and inflammation in your system. Figs have an amazing ability to remove toxins from your blood. 2. Sweet Potatoes. I love sweet potatoes. Filled with vitamins A and C and loaded with fiber, this delicious starch is just as good for your body as it is for your face. The beautiful orange color is a hint of the high levels of beta carotene. Prepared with a little coconut oil and cinnamon and you have the perfect fall side dish. 3. Cucumbers. Be sure to buy organic and eat the skin. The silica in the cucumber skin is sure to keep your skin clear and radiant. 4. Acai. This is fatty fruit from the Amazon is loaded with omega fatty acids. And that bright purple color is what makes this superfood a powerhouse at making your complexion beautiful. 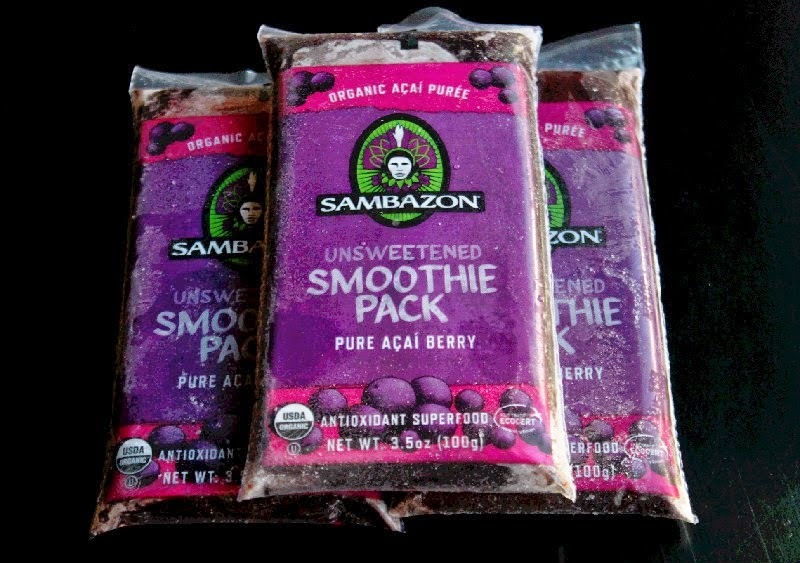 I love the frozen acai packets. I add them into my morning green smoothie with some unsweetened coconut milk. It’s delicious! 5. Lemons. This yellow fruit is high on the liver cleansing list. Again, clean insides = glowing skin. Lemons also help eliminate breakouts. Squeeze a half a lemon and add the juice to sixteen ounces of water first thing in the morning. You’ll jump start your metabolism, clean your liver, and make your skin happy. The key to gorgeous, healthy skin may be right in your own kitchen. Bon appetite! This entry was posted in Beauty & Anti-Aging, Wellness on October 19, 2014 by Karena.